Fundamentally opposed to huge camping resorts, You Camp offers you authentic holidays in an extremely preserved natural area. 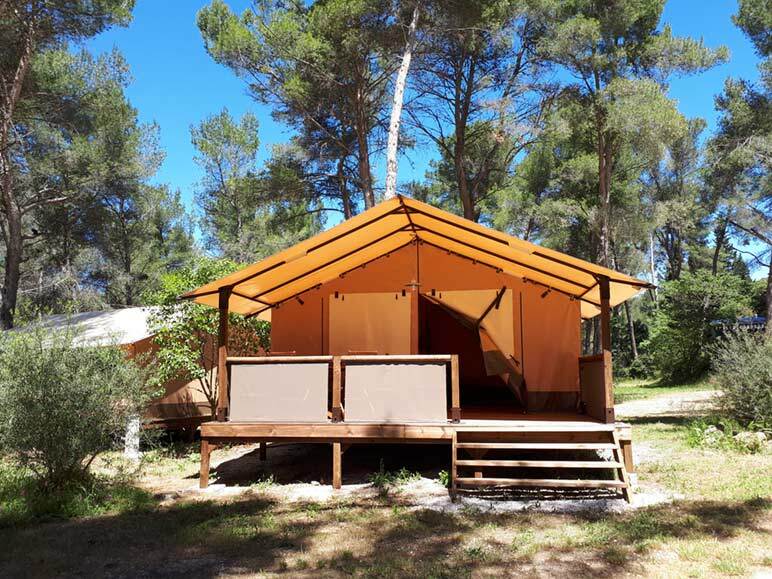 Our first camping is born in Aubagne, in Provence, at the gates of Marseille and the Calanques, and is composed of comfortable accommodations, Totally integrated in the exceptional natural environment of the Hills of Pagnol. Tents lodges, cabins, wooden mobile homes.. 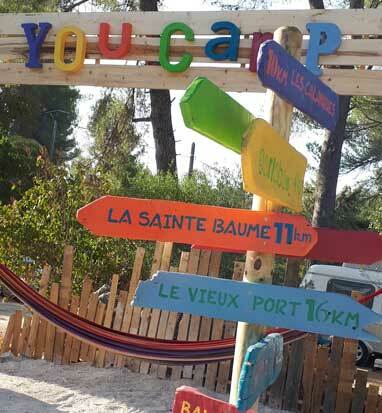 The design of the campsite encourages us to find comfortable and unusual accommodations, while being perfectly integrated with the nature that welcomes us. Finally, conviviality is the key word of our philosophy. What would be holidays without meeting new people, without sharing convivial times. Our sites will integrate places and facilities in order to foster these meetings: Games for children under a teepee, vegetable garden, shared library, Yoga terrace, friendly bar animated by cicadas …..
We will organise hikings, cycling circuits or excursions according to your wishes. In 2018, you will discover our all inclusive offers, including your stay at the campsite and excursions in the region.